We left our campsite at Silver Springs State Park, River Camping Area and drove the short distance to the Springs. Our friends Karla and Larry were with us and we enjoyed a few hours of hiking. Below are some of the critters we were lucky enough to see. 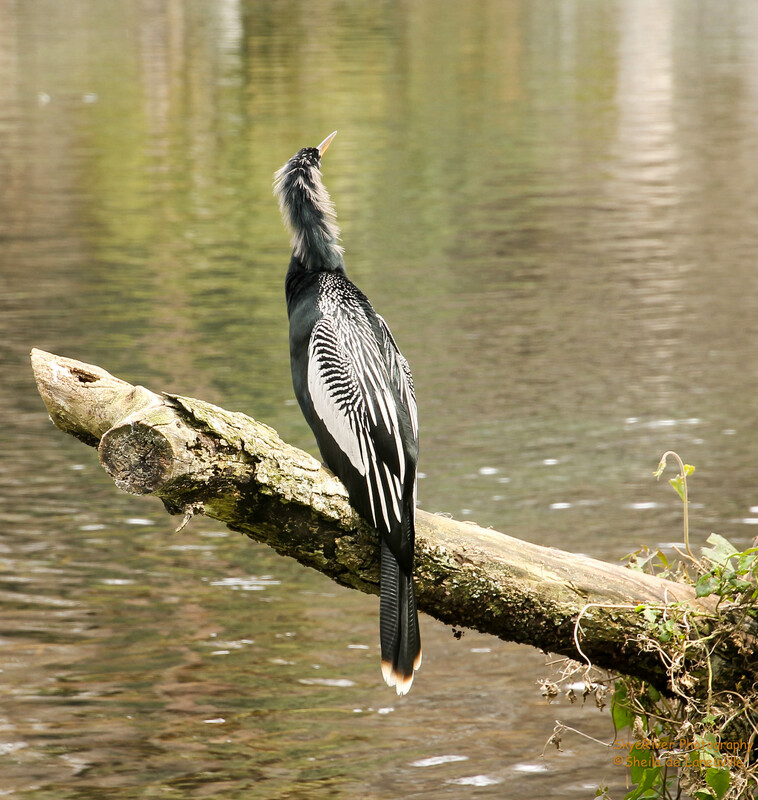 Anhingas prefer freshwater habitats and often are seen perched on branches or stumps. This is exactly where we spotted this beautiful male. 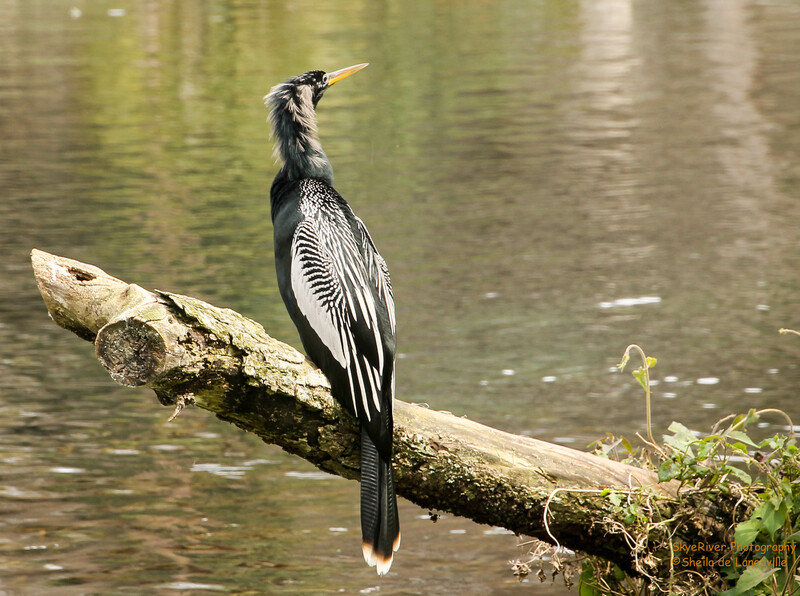 Anhinga. Silvery white spots and streaks on wings and upper back. Ruby-red to scarlet eyes, long thin neck, long pointed yellowish bill, black plumage with a green gloss. 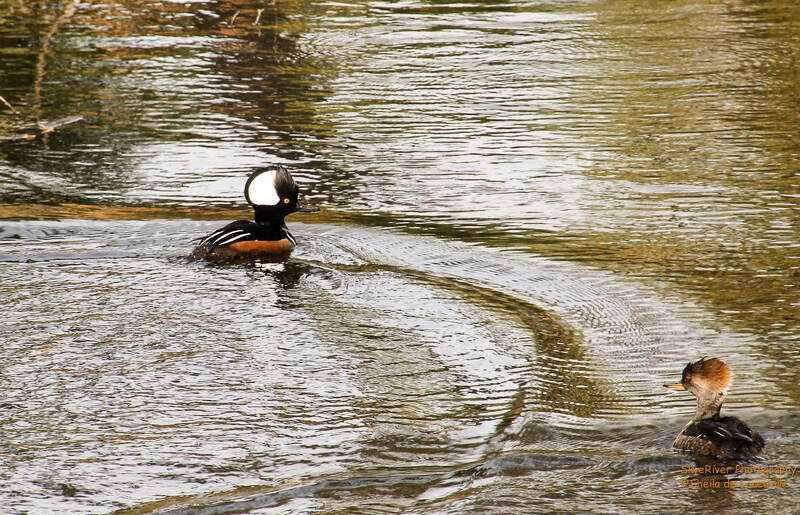 During breeding season the male acquires pale, wispy plumes on upper back. 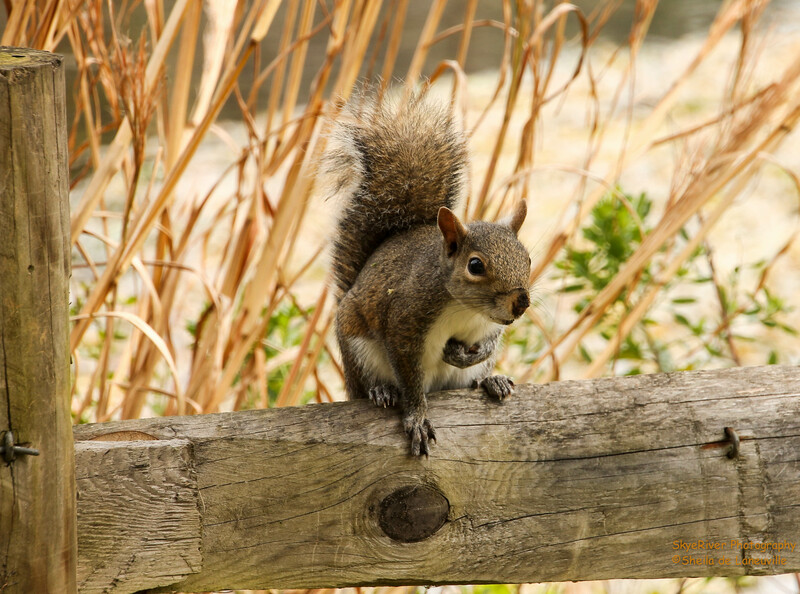 This little squirrel seemed to welcome us to Silver Springs. He jumped up on this fence and told us a story. 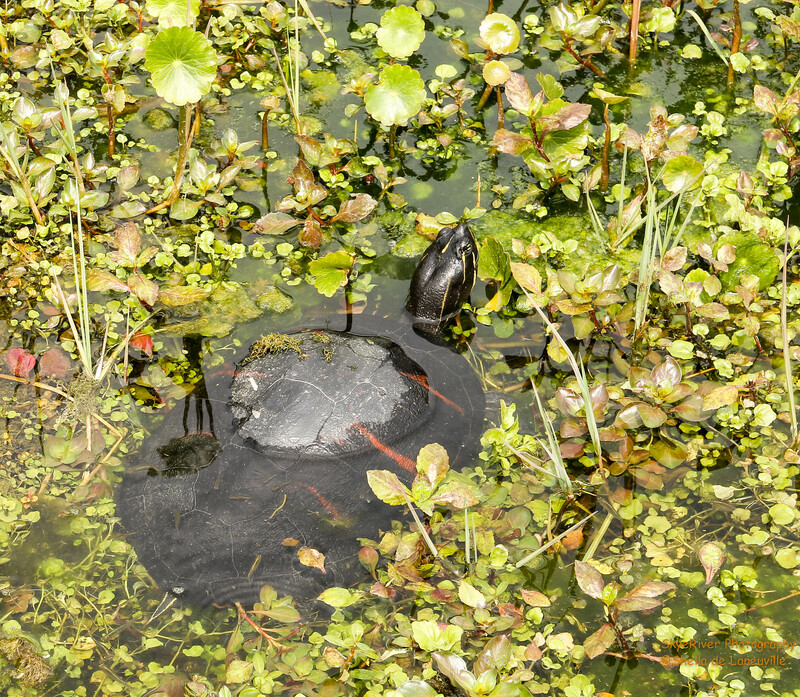 This Florida Red-bellied Cooter was enjoying a sunny day at the Springs. 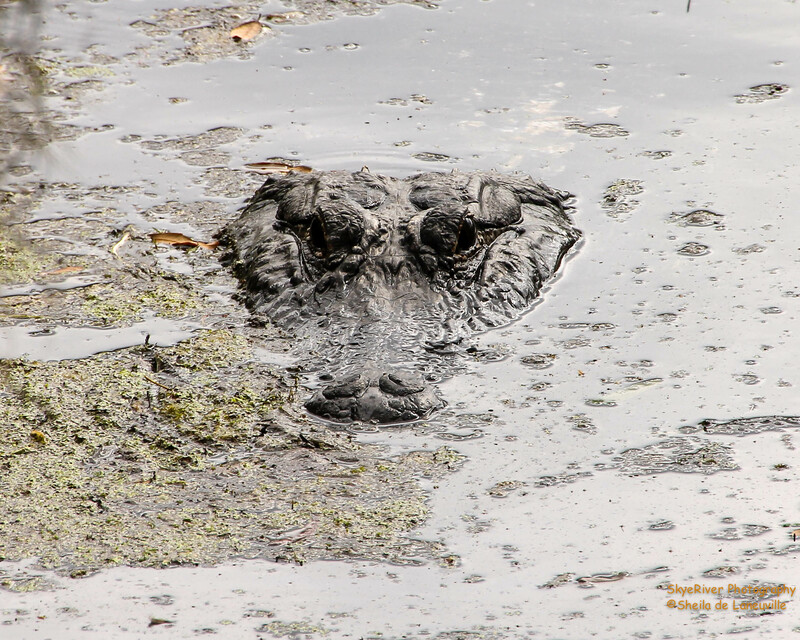 This guy was watching us from his home near the shoreline. 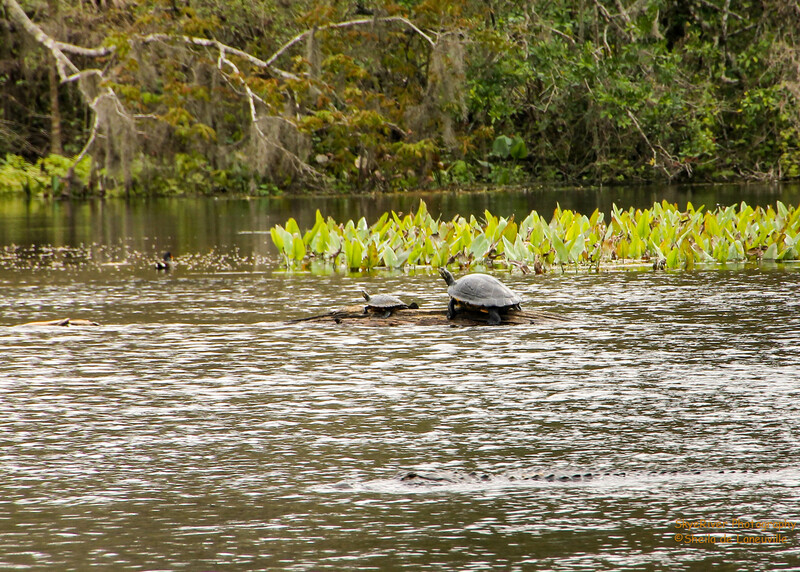 Way out in the river this BIG guy was sunning himself along with a friend. A lazy day on the river. Cypress Trees out in the river. Almost missed these beauties; I spotted them as we were driving away heading back to camp. 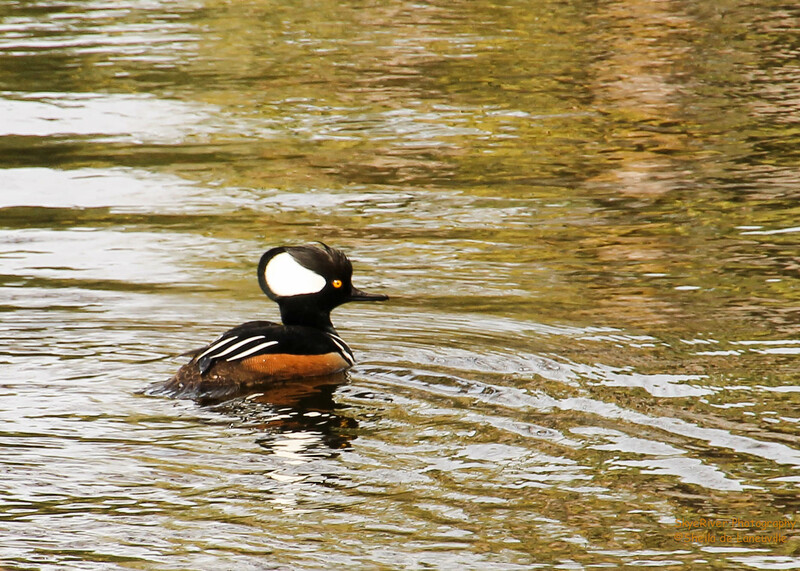 Hooded Merganser, male. White head patches are fan-shaped. Black head, blackish bill, chestnut sides and white breast. Smallest native North American merganser with the largest crest. Numbers increasing, due to use of nesting boxes. His lady in the foreground. In breeding season, found on woodland ponds and rivers. Winters on fresh water. Swims under water using both feet and wings. Looks pre-historic; did you catch him in the photo above? Until next time…. Enjoy Yourself. 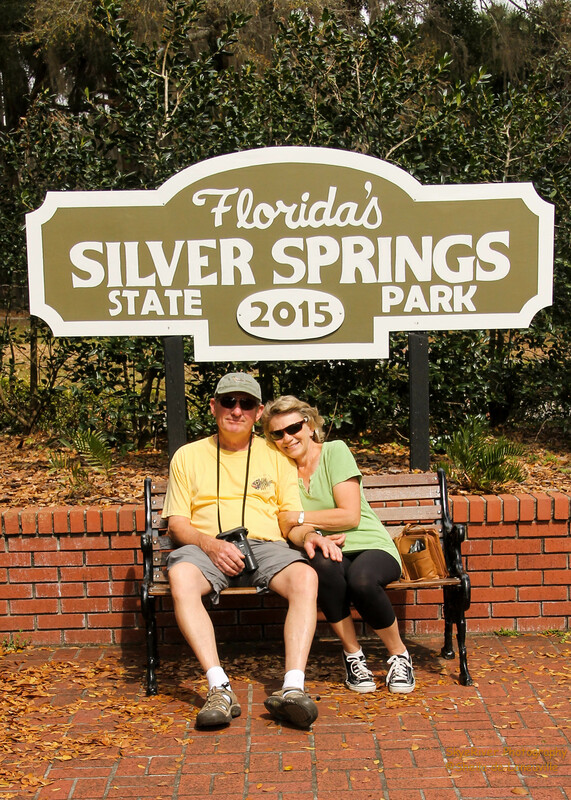 One of our favorite Florida state parks! We camped there when the park was still called Silver River State Park. We enjoyed walking on the trail from the campground to the boat launch on the river. We watched a Gopher Tortoise crawling out of his hole right next to our site 58. If you get a chance to rent a canoe it is a beautiful paddle to the Silver Springs. We spotted lots of alligators, birds (even a Bald Eagle) and watched the monkeys in the trees! We also enjoyed the guided tour of the Cracker Village. Hi Beth, thanks for the information. So glad you enjoyed your time here at SSSP! We enjoy this state park as well. The weather hasn’t been the best, some rain, cloudy, windy and to the cool side. We have it on our list to canoe or kayak went we come back. We have been getting in some hikes and we found a New Orleans style restaurant here called Harry’s – it was great! So our time here as been good! Hi Pam. You probably know already, but if you want to stay at any of Florida’s state parks you need to make a reservation 11 months ahead. It is getting crazy even trying to book 11 months ahead. Florida does have gorgeous state parks! We enjoy the least crowded areas with country influences, over the highly populated large cities. We are sure looking forward to being back in beautiful, colorful Colorado! Lovely images Sheila! Thanks for the ID on the Merganser. I think we have some of them in one of our ponds. 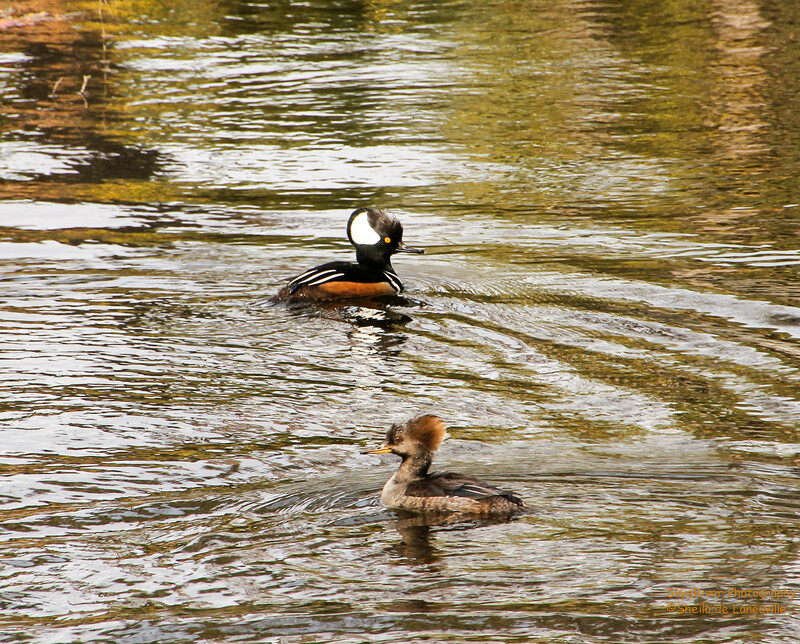 LuAnn, the hooded Mergansers are a gorgeous, little, duck. Glad you have them by you! Glad you liked the Gator. We were walking along with a young couple, accent British. I had stopped to take their photo for them. 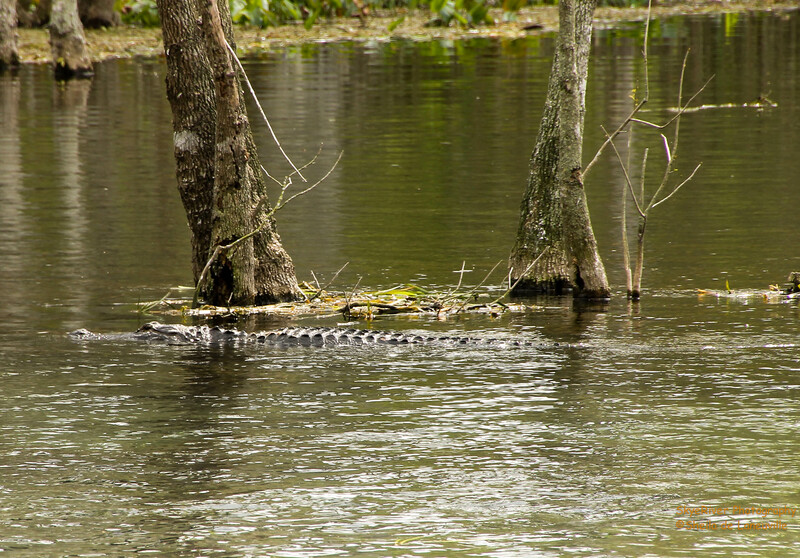 They got a big kick out of the Gators! 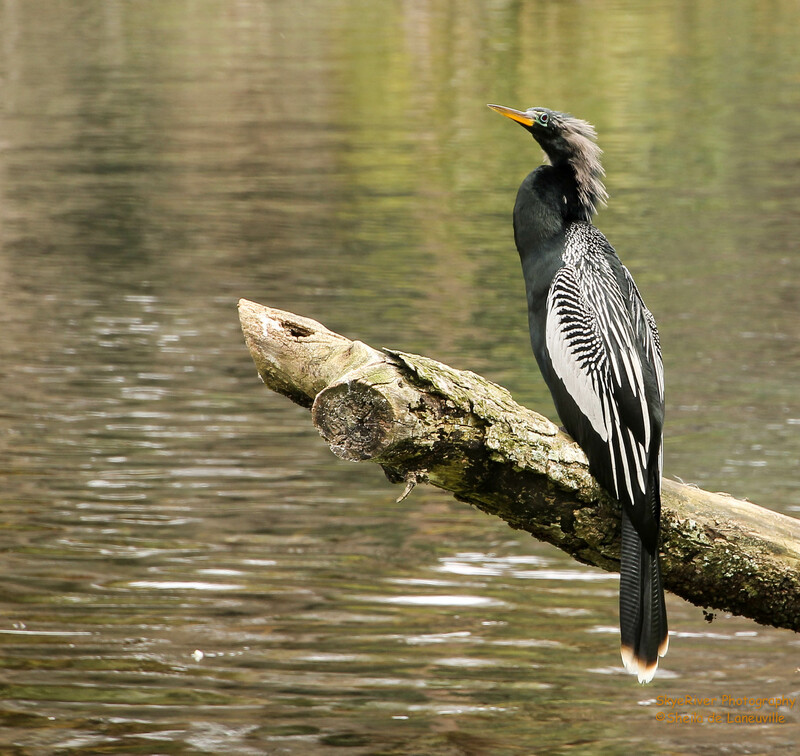 Nice shots, like the Anhinga a nice looking bird.